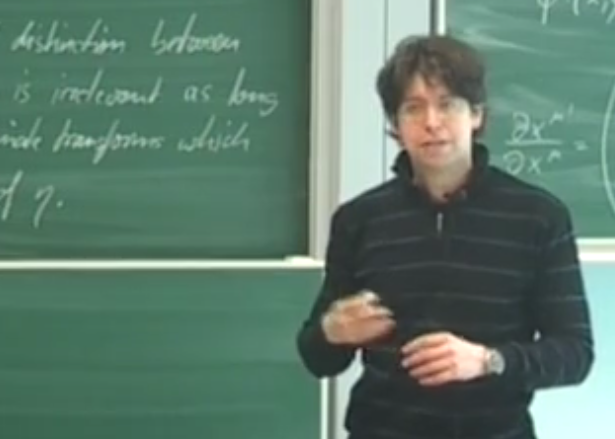 At Radboud University, Raoul-Martin Memmesheimer has taught “Tensors and Applications” (an introduction to differential geometry for physics students), parts of “Advanced Computational Neuroscience” (joined with P. Tiesinga and B. Kappen) and “Neurophysics 1” (joined with J. van Opstal). In 2012/13, he commenced a newly designed lecture series, an introduction to nonlinear dynamics for physics and natural science students, “Nonlinear dynamics, chaos and applications”. He is not teaching from summer 2015 to summer 2018 as Max Kade Fellow at Columbia University, FIAS Research Fellow at FIAS Frankfurt and while starting his group at Bonn university. Some remarks of Raoul-Martin on the now past winter-term (2014/15): I was happy to see that the number of attendants of the voluntary course “Nonlinear dynamics, chaos and applications” has so steadily increased over the three years of its existence that our original lecture hall is now too small. Also the number of students of “Neurophysics 1” has strongly increased. Further, I was glad about the highly positive feedback that all three lectures “Tensors and applications”, “Neurophysics 1” and “Nonlinear dynamics, chaos and applications” received.